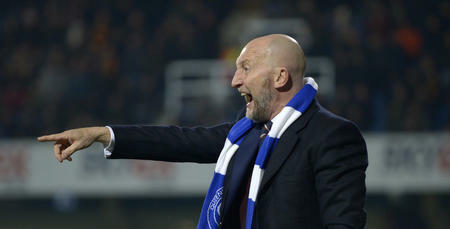 IAN Holloway has called on his QPR players to ‘stick to the process’ when Wolverhampton Wanderers come to town in the Sky Bet Championship tomorrow (Thursday) night. Rangers play host to Paul Lambert’s side in W12 in front of the live Sky Sports cameras and Holloway – in his third match in charge of the Hoops – is relishing another game in front of the R’s supporters. 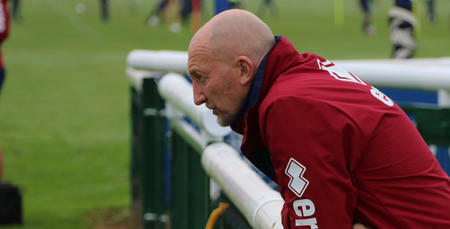 “We need to stick to the process – that’s the most important thing,” he told www.qpr.co.uk. “The boys understand what I’m saying and I can see that already. “We need to lose the nervous energy. If you’re a tennis player and you’re 0-40 down, and you start thinking about the score, you’ve got no chance. “Unfortunately, a lot of footballers these days, that’s what they do – but this group has great belief. 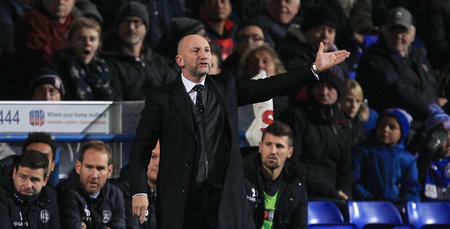 Having been in the Hoops hot-seat for just over two weeks, Holloway is happy with the progress his squad are showing on a daily basis, but is also aware of the need for improvement. “You don’t just come into a finished article – that’s not how this game works,” he said, “and I need the fans to understand that too. “We’ve got some great lads here who we want to love up and help shine. “We’ve signed players from leagues below us and we want them to shine. That’s what QPR was always about. I came from Bristol Rovers; Les (Ferdinand) came from Hayes & Yeading – the list goes on; Sinclair, Bardsley. “Let’s give these lads a chance to shine because I tell you what, when I see them every day and the way they go about their business here, they don’t half wear that shirt with pride. Wolves head to Loftus Road having failed to win any of their last nine Championship fixtures, with new boss Lambert yet to taste victory in his time in charge. 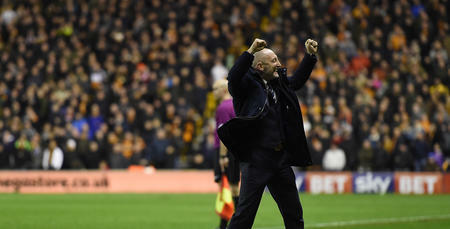 Holloway, however, insists QPR won’t take their opponents lightly, commenting: “What a game – what an opportunity. Live on Sky at Loftus Road – brilliant. “Wolves have got a new manager, I’m new to the job here. Let’s see what we can do. “Wolves’ current league position is irrelevant; let’s see where they are at the end of the season. “All I know is that Paul is a very good manager and will have his team fired up. “But I need to find a way for our lads to go out there and win the game and that’s what we’re all striving for, every day we come into Harlington to train. “Every opponent will lay their glove on us, but I don’t want us to have a glass chin. We don’t need everyone worrying. Let’s focus on the process and enjoy playing for QPR. 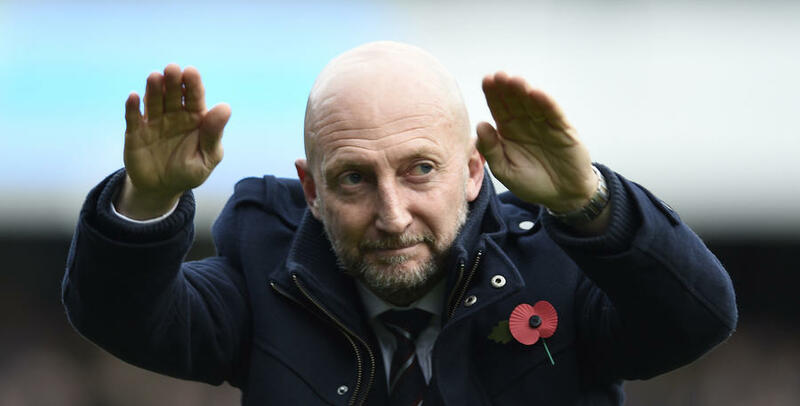 Holloway, who will have Massimo Luongo available again following a recent bout of sickness, also had a message for the QPR supporters ahead of Thursday’s fixture. “I need the fans to show the fresh attitude they showed against Norwich,” he said. “Wow, what about that bit of skill; wow, what about that great tackle – I want them to support us whatever happens. If you’re a tennis player and you’re 0-40 down, and you start thinking about the score, you’ve got no chance.